Description: The Fluke 700PCK makes it possible to calibrate your pressure modules at your facility using your own precision pressure standards. Application: When installed on your PC, the WindowsT-based software easily steps you through an as-found verification, a calibration adjustment, and an as-left verification. Calibration data is captured for import to your database. A 386 or better PC running Windows 3.1 or better is required, along with a precision pressure standard with an uncertainty of less than 1/4 that of the pressure module being verified. 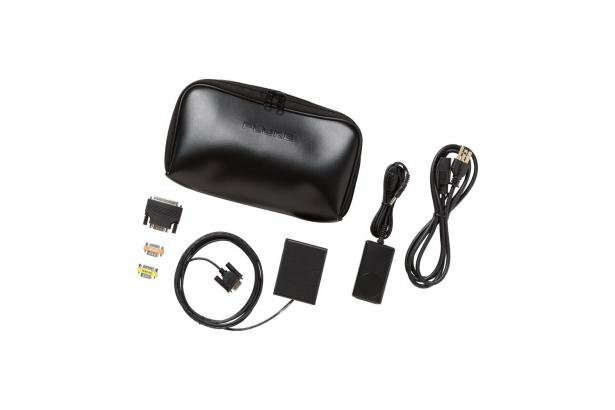 Included: The kit consists of a power supply, an interface adapter, appropriate cables, and Fluke 700PC Pressure Module Calibration Software.